Arrive in comfort and style in one of our motorcoaches! We offer multiple sizes of vehicles to fit any group. Our large coaches seat 56 or 57 passengers. 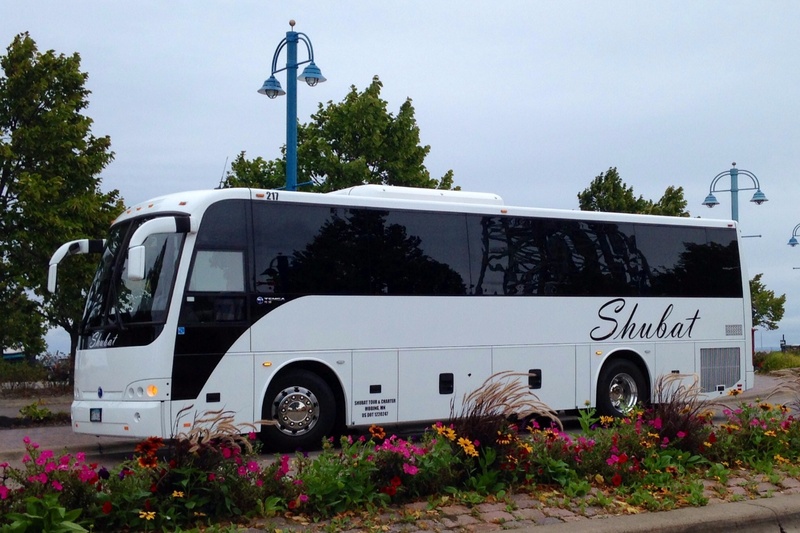 These coaches are a perfect way to travel across Minnesota or the country! They feature comfortable reclining seats with arm rests and foot rests, a climate controlled interior, a restroom, and large storage areas. They are also equipped with a DVD player with multiple monitors throughout the coach. Each coach has 110v outlets for passengers to charge their devices on the go. 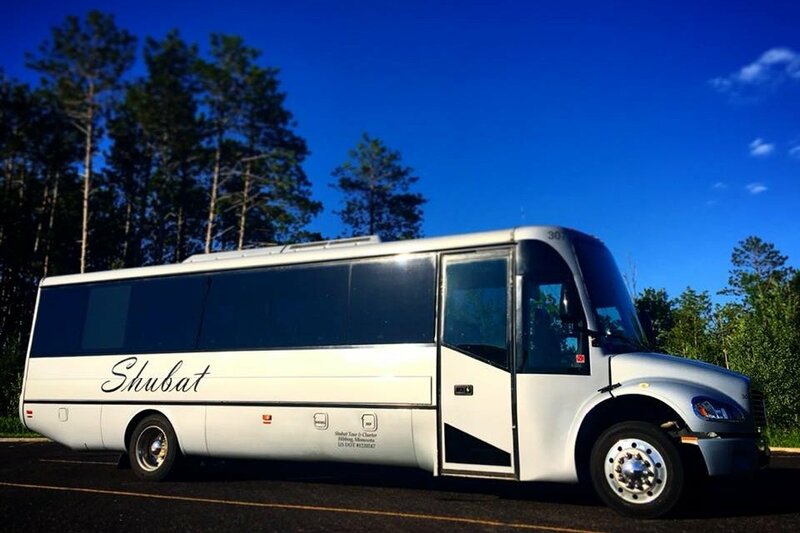 Our 40 passenger coach has all of the comfort and style of a larger coach, in a size that will fit your smaller group. The reclining seats have seat belts, foot rests, arm rests, and magazine nets. This coach also has 110v outlets under every seat, allowing you to charge your devices on the go. A DVD player with 4 large monitors throughout the coach keeps your group entertained during long trips. This coach also has a restroom, comfortable air ride suspension, and large storage areas. Our 25 passenger coach is perfect for small groups that want to travel economically and safely. From the moment you step on board, you will recognize familiar "big coach" features such as overhead storage compartments with individual air vents and reading lights, climate control, and a restroom. The wood grain flooring compliments the comfortable black leather seats with seat belts. This coach is loaded with passenger-friendly features including tray tables, cup holders, foot rests, arm rests, magazine nets, and 110v outlets at every seat. 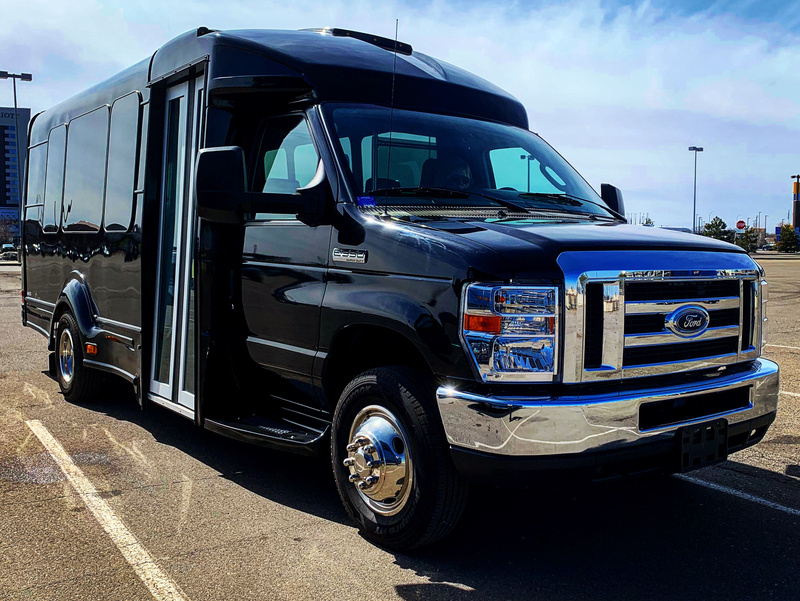 Our 14 passenger shuttle bus is ideal for small groups, weddings, churches, and special event shuttling. This bus features premium leather seating with seat belts, wood grain flooring, and large windows for a great view. It has climate control, a radio with Bluetooth/CD, and luggage storage in the rear.